The news trickling out of Zimbabwe is shocking, but hardly surprising. Over the last week, thousands have taken to the streets to protest rising fuel prices, astronomical inflation and a government seemingly unwilling or unable to fix the economy of one of Africa’s poorest countries. Making matters worse, Zimbabwe’s president, Emmerson Mnangagwa, blocked social media as the protest intensified. In the resulting blackout, hundreds have been arrested and further unknown numbers injured and killed. Speaking with the government-controlled Sunday Mail newspaper this week, a spokesman for the president vowed that government action thus far was a “foretaste of things to come.” The wave of violence comes on the heels of a massive fuel price hike and resulting national strike. Zimbabwe’s economy has taken a recent turn for the worse as the government has essentially run out of money. Inflation is at levels – roughly 40 percent – not seen since the government was forced to abandon its own currency in favor of the US dollar 10 years ago. While the government has blamed “terrorists” and members of the opposition Movement for Democratic Change for the violence, few see any constructive way out. Indeed, a review of the European and American press on the crisis paints a similar picture. They have generally bemoaned the violence but have done little to place the events in a larger picture of African economic health and possible openings for change. Perhaps this is due to fatigue over yet another failure story coming from one of Africa’s poorest nations. If we compare the coverage of the internet blockage with the stories out of Egypt in 2011 when the former Egyptian president, Hosni Mubarak, cut off the web in the last days of his rule, the difference is stark. The world was aghast at Mubarak’s audacity in taking his country offline. In Zimbabwe, however, reports as there are, are confined to the bottom of the world section of major media outlets. There are, however, a couple of places that have kept a keen eye on events in southern Africa: Beijing and Moscow. Both China and Russia have moved aggressively to court the new Mnangagwa administration. 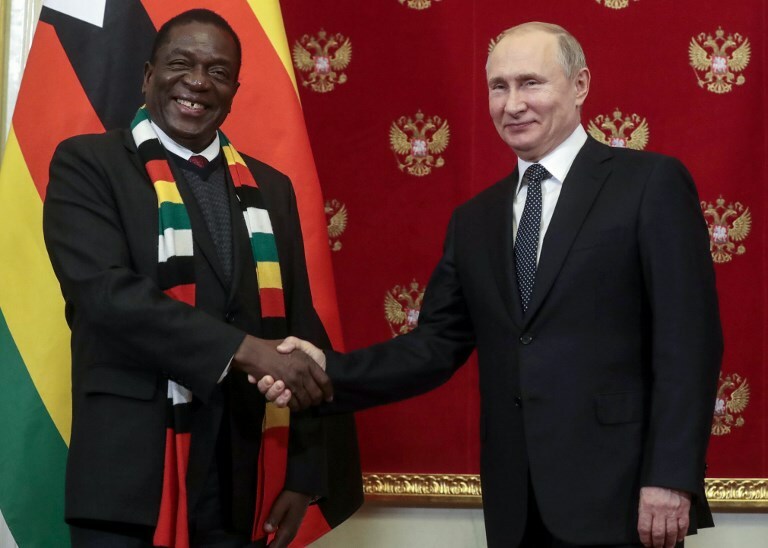 With the promise of desperately needed capital, Beijing and Moscow have found an eager partner in Zimbabwe’s new leader. Let’s review each country’s strategic aims in deepening relations with Mnangagwa, but before doing so it is useful to consider the state of international involvement in Africa more broadly. Russia’s renewed efforts in Africa echo the US approach to containing China’s growing influence. Gone are the days of Russian involvement in African liberation struggles based on Marxist political calculations. Just as China uses its economic muscle to invest in struggling African economies, so too does Moscow. This is especially true in southern Africa, where Russia has been marketing everything from nuclear power plants to military cooperation. As the violence engulfed the streets of Harare last week, Mnangagwa was in Russia trying to raise money. The president even sent tweets from Moscow appealing for calm among his people. The only problem was that no one could read them because Twitter had been blocked. When all is said and done, China is the true innovator in Africa. Through myriad investments in infrastructure, Beijing manages a form of debt-trap diplomacy across the continent. Zimbabwe, in this regard, is a crown jewel. On the eve of his election last year, Mnangagwa flew to Beijing to discuss investment deals and the future of his country’s economy. Given the staggering economic challenges facing Harare, it will be nearly impossible for Zimbabwe to get back to a healthy economy without a massive infusion of capital. Just this week, South Africa turned down a request for a $1.2 billion loan to Zimbabwe, noting that it simply didn’t have the money to lend. In previous decades, Harare would have sought Western financial assistance. But a decade of sanctions against the Mugabe regime and general lack of interest in the internal problems of poor African countries means that that is no longer on the cards. As such, the likes of China and Russia will step in to fill the void and also enjoy newfound geopolitical capital. The lack of coverage of Zimbabwe’s protests in Europe and the United States reflects much more than an unwillingness to care about the country’s future, but also of a fundamental rethink of Western political objectives in Africa. China and Russia only stand to benefit. 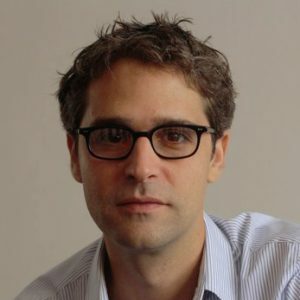 Joseph Dana, based between South Africa and the Middle East, is editor-in-chief of emerge85, a lab that explores change in emerging markets and its global impact.